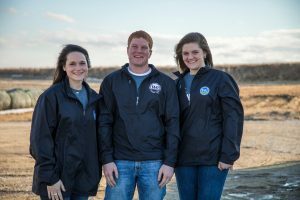 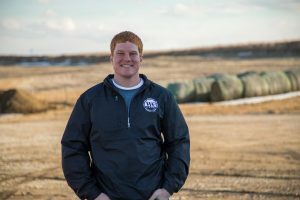 The National Pork Board announced that Adam Krause from South Dakota and Emma Lasco and Christine Snowden, both from Iowa, have been named the 2018 Pig Farmers of Tomorrow. They were recognized today at the 2018 National Pork Industry Forum in Kansas City. 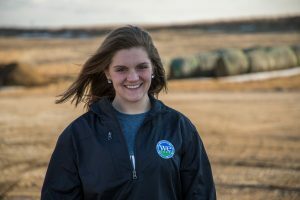 The award recognizes farm leaders, ages 18-29, who intend to make pig farming their life’s work and who are committed to raising pigs using the pork industry’s We CareSM ethical principles. 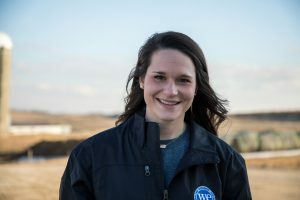 The winners will speak at Pork Checkoff events and provide content on #RealPigFarming, which is the pork industry social media program.